Say Who I Am: Or a Broad Private Wink is an essay in Judgment and Contemporary Art Criticism. The book is a result of a conference and reading room (held in 2009 at Emily Carr University and at Artspeak in Vancouver) that investigated the role of valuation in art criticism, this publication features commissioned texts by forum presenters and respondents. 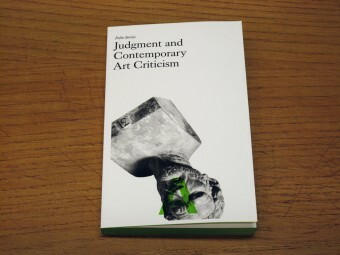 Examining the efficacy and function of art criticism, the publication focuses on the role of judgment in contemporary art writing and includes transcriptions from forum discussions with the audience. 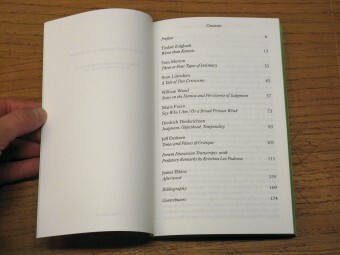 Contributors include: Jeff Derksen, Diedrich Diederichsen, James Elkins, Maria Fusco, Sven Lütticken, Tom Morton, Kristina Lee Podesva, William Wood, and Tirdad Zolghadr.